program at Indianapolis Motor Speedway. INDIANAPOLIS, Ind., May 21, 2012 – The roar of engines will now be joined by the sweet sounds of rhythm and bass during this year’s NASCAR Sprint Cup Series race at Indianapolis Motor Speedway, thanks to a partnership announcement today among the makers of Crown Royal® whisky, the Indianapolis Motor Speedway and BigMachineRecords.com. Officially titled Crown Royal Presents the “Your Hero’s Name Here” 400 at the Brickyard Powered by BigMachineRecords.com, the race weekend will feature country music stars The Band Perry, Justin Moore, The Mavericks, Greg Bates and others performing for fans in attendance and viewers tuning in to the race on television. 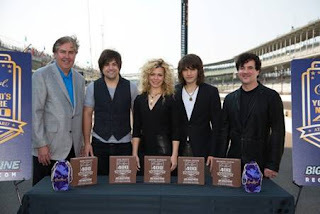 Big Machine Label Group artists will be on hand at Indianapolis Motor Speedway on July 29 to ensure the winner of Crown Royal’s annual “Your Hero’s Name Here” contest is provided an experience to remember. The winner, who will be named in early July, will meet various stars and attend a concert as part of a collaborative effort by Crown Royal and the BigMachineRecords.com to showcase those individuals who make a difference in their communities without asking for anything in return. Crown Royal and the Big Machine Label Group artists will be at the track all weekend honoring heroes from Indianapolis and around the country and additionally, urging adult fans to drink responsibly and designate drivers, helping to make sure everyone has a fantastic race-day experience and gets home safely. 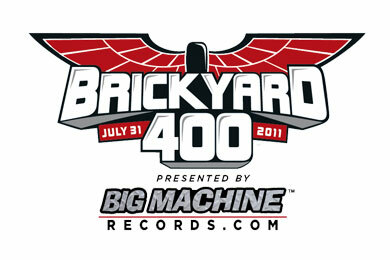 "There's no track in the world like the Indianapolis Motor Speedway and I'm thrilled that we will return as a race sponsor in 2012 for the Crown Royal presents the 'Your Hero's Name Here' 400 at the Brickyard powered by BigMachineRecords.com!" said Scott Borchetta, President and CEO of the Big Machine Label Group. "We will again bring our most exciting artists to the stage for a great pre-race musical experience for the fans." This race will mark the sixth time Crown Royal has awarded race naming rights to an adult fan. This year, the program focused on all of the unsung heroes who make a difference in their communities, from firefighters and police officers, to first responders and local volunteers. Five heroes have been chosen as finalists and beginning on May 21st, fans will be asked to visit the Crown Royal Facebook page to cast their vote for the person they feel most deserving of the ultimate honor, naming rights of one of the season’s most exciting races. qualifying at Indianapolis Motor Speedway on Saturday, May 19, 2012. Big Machine Label Group stars The Band Perry visited IMS this weekend to announce the partnership and recognize the five finalists: Dale Beatty, veteran and cofounder of the nonprofit organization Purple Heart Homes from Statesville, N.C.; Lindsey Marquez, ICU nurse from Sun Prairie, Wis.; Curtiss Shaver, Fire Lieutenant and EMT from Troy, Ala.; John Thomas, Deputy Sheriff from Sarasota, Fla.; and Brandon Veatch, veteran and Purple Heart recipient from Bloomfield, Ind. 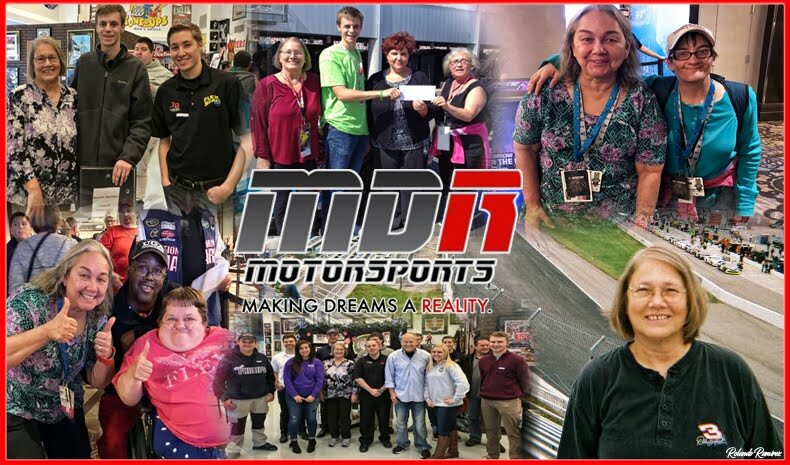 As part of Crown Royal’s “Your Hero’s Name Here” 400 program, the five finalists, which will ultimately include the winner, will travel to Indianapolis for one of the NASCAR season’s most-anticipated races. The winner will be treated to an unforgettable experience, which includes waving the green flag to signal the start of the race and delivering the trophy bearing his or her moniker to the race winner in Victory Lane. The Crown Royal Presents the "Your Hero's Name Here" 400 at the Brickyard Powered by BigMachineRecords.com, will be the marquee event of the inaugural Super Weekend at the Brickyard, which also will feature a NASCAR Nationwide Series event Saturday, July 28, two GRAND-AM road races Friday, July 27 and Nationwide practice Thursday, July 26. Race Day ticket prices start at just $30. Fans can buy tickets online at www.imstix.com, by calling the IMS ticket office at (317) 492-6700, or (800) 822-INDY outside the Indianapolis area, or by visiting the ticket office at the IMS Administration Building at the corner of Georgetown Road and 16th Street between 8 a.m.-5 p.m. (ET) Monday-Friday. Children 12 and under will receive free general admission to any IMS event in 2011 when accompanied by an adult general admission ticket holder. Crown Royal Canadian whisky is the number one selling Canadian whisky brand in the US by value and has a tradition as long and distinctive as its taste. Specially blended to commemorate a grand tour of Canada made by King George VI and Queen Elizabeth of Great Britain in 1939, Crown Royal Canadian whisky's smooth, elegant style reflects its aristocratic origins and is considered the epitome of Canadian whisky. For more information visit www.crownroyal.com. Crown Royal encourages all race fans to please enjoy responsibly. 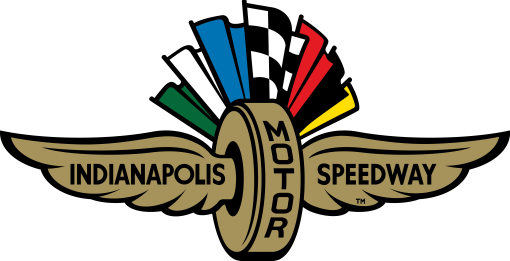 The Indianapolis Motor Speedway has been the worldwide leader in motorsports entertainment since it opened in 1909. The facility has hosted the Indianapolis 500, the world’s largest single-day annual sporting event, since 1911 and also is the site of the Crown Royal Presents the “Your Hero’s Name Here” 400 at the Brickyard and the Red Bull Indianapolis GP. 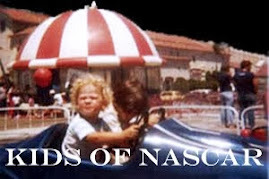 The NASCAR Nationwide Series and GRAND-AM Road Racing also will make their IMS debut with races in 2012. IMS is the world’s largest spectator sporting facility and is the only venue to stage annual races in the IZOD IndyCar Series, NASCAR Sprint Cup Series, GRAND-AM Road Racing and MotoGP. Lindsey Marquez, 28, of Sun Prairie, Wis.
Voting has started! Adult consumers can log on to the Crown RoyalFacebook page and click the “Crown Your Hero” tab to vote for the hero they think is most deserving of naming rights to the race. 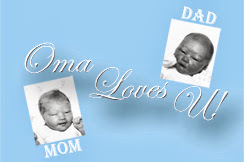 Voting runs through June 28th and the grand prize winner will be announced in early July.